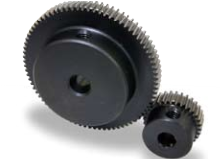 The SSG Ground Spur Gears are made from carbon steel, are induction hardened and the teeth are ground finished. Since the heat treatment is applied only to the tooth area, secondary operations can be preformed on the hub and bore. 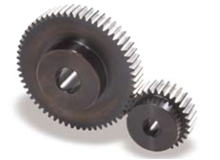 J Series configurations of the SSG Ground Spur Gears are available.